Kale is one of nature’s most nutritious foods. It is packed with iron, Vitamins K, A, and C and powerful antioxidants to help fight against cancer and disease! Also, did you know that it has more calcium than milk? Crazy, huh? My favorite thing about Kale is that is is an anti-inflammatory food filled with omega-3 fatty acids. Omega-3s help fight against arthritis, asthma, autoimmune disorders, and inflammation within our bodies. Kale is also a great detox food because it is filled with fiber and sulfur, which aid in keeping your liver healthy. Now, get your Kale on! You can add kale to your smoothies and protein shakes, and salads. I love making sauteed kale as a side dish because we cannot have enough greens! 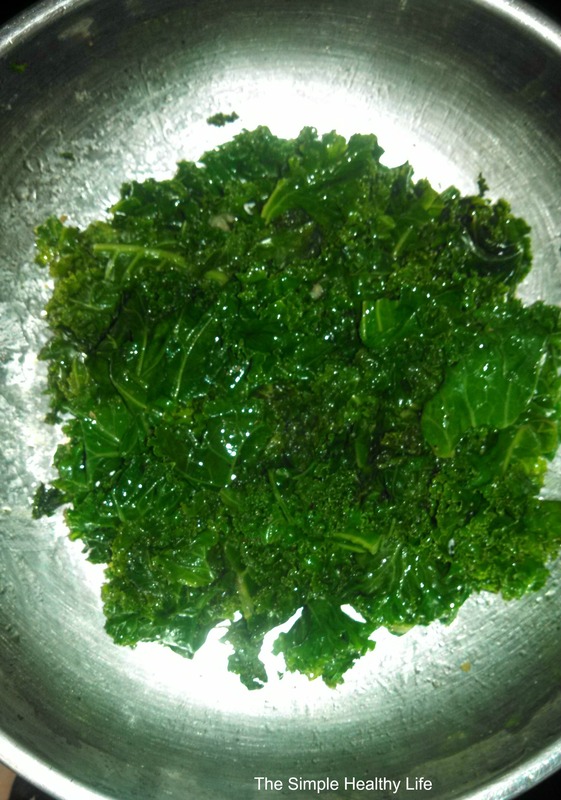 Wash kale with water in a colander and pat dry. In a medium saute pan, heat about 2 tablespoons EVOO on medium heat. Add the garlic and saute for about 2 minutes. Add kale, stir, and cover. Cook until the kale begins to wilt, stirring occasionally. Remove cover and season with salt and pepper. Continue to cook for about 2 more minutes until the liquid evaporates.